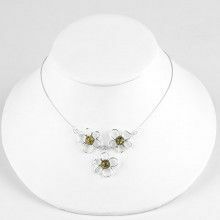 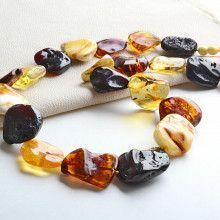 This unique and professionally hand-made necklace features genuine Baltic Sea amber in its natural form. 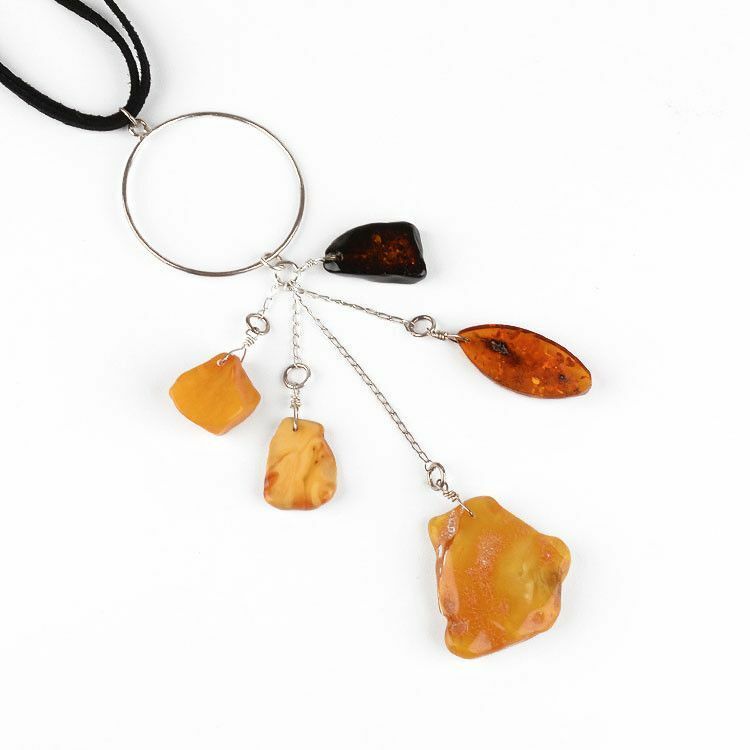 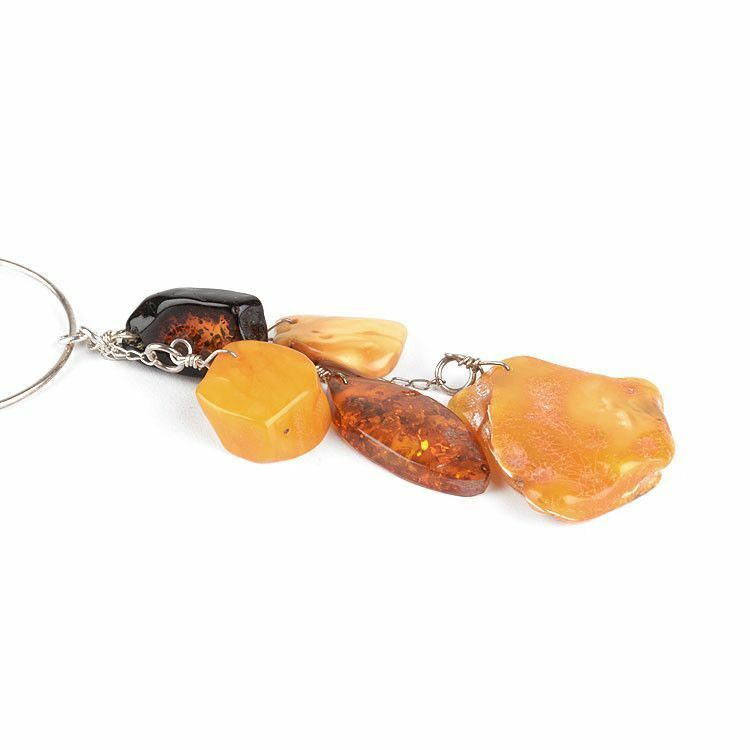 Each necklace has its own assortment of different colors of real amber chunks. 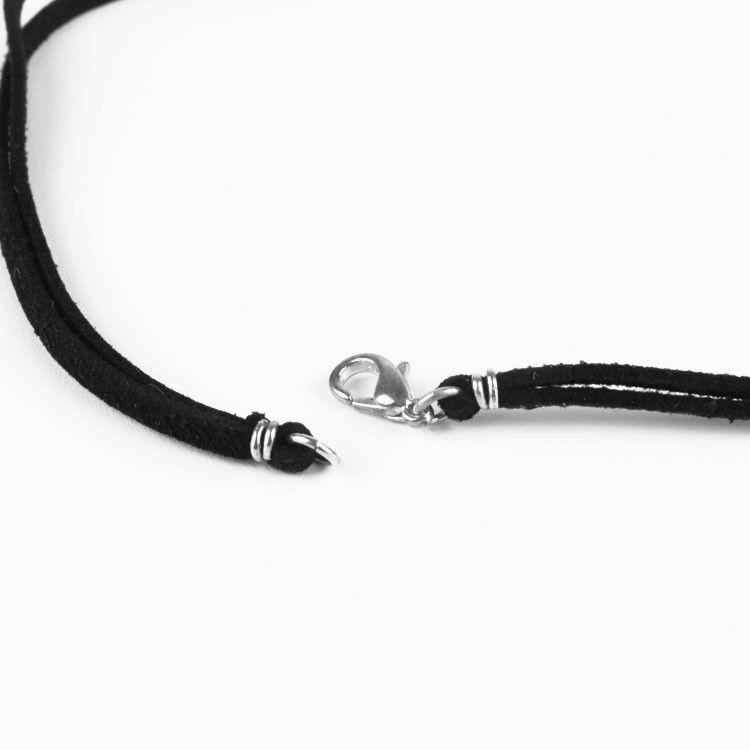 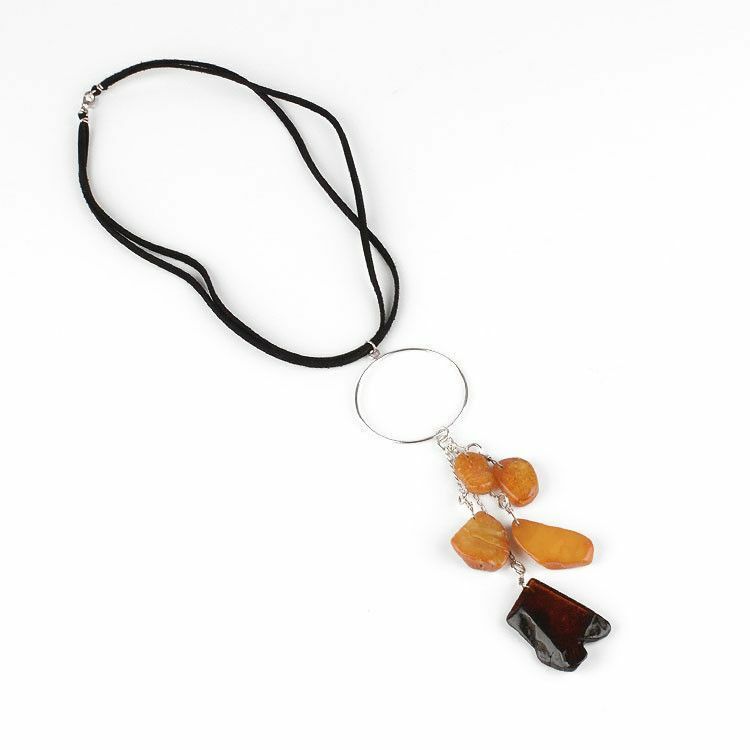 They dangle from a sterling silver hoop which is attached to a soft suede cord. 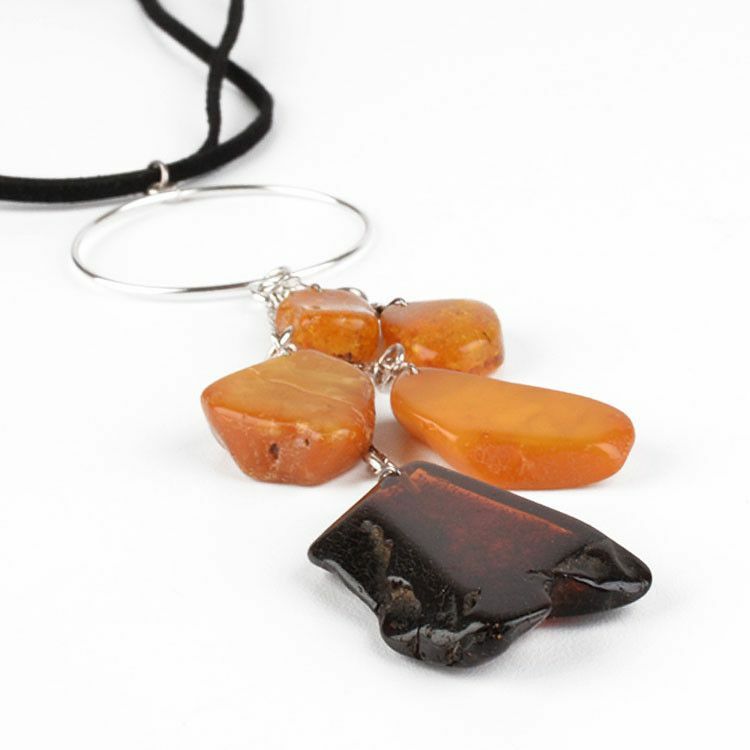 This lovely amber necklace is comfortable and fashionable!